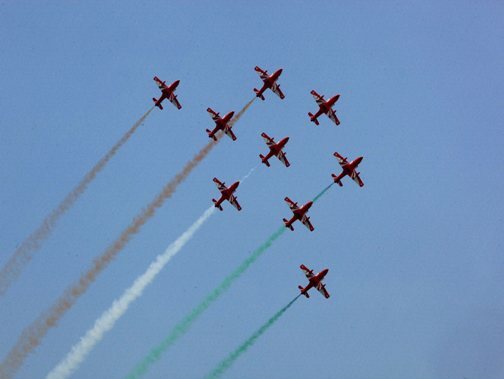 IAF's Surya Kiran aerobatic aircraft make a formation during an air display for the Air Force Day 2010 on the 78th anniversary of Indian Air Force (IAF). A PTI Photo. 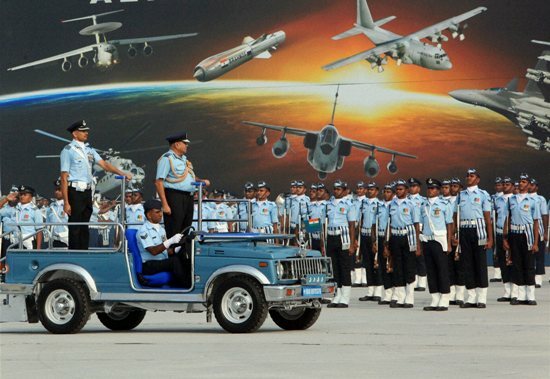 Air Chief Marshal PV Naik inspects a parade of IAF personnel during the Air Force Day 2010 on the 78th anniversary of Indian Air Force (IAF) at Hindon on Friday. A PTI Photo. 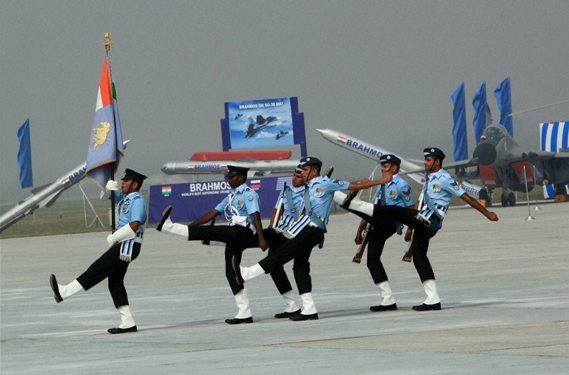 IAF personnel march during the Air Force Day 2010. A PTI Photo. 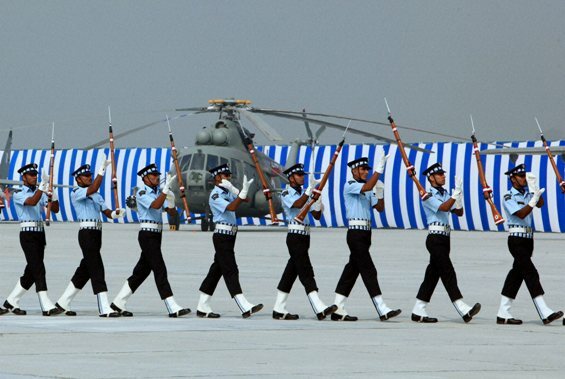 IAF personnel march during the Air Force Day 2010 on the 78th anniversary of Indian Air Force (IAF) at Hindon on Friday. 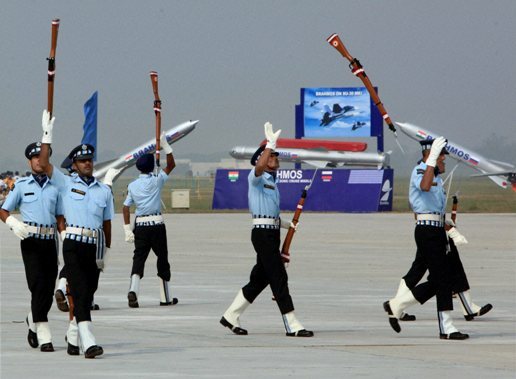 The 78th anniversary of Indian Air Force (IAF) at Hindon, New Delhi. 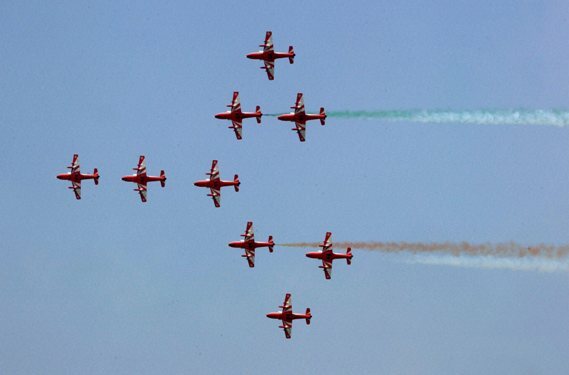 IAF's Surya Kiran aerobatic aircraft. A PTI Photo. 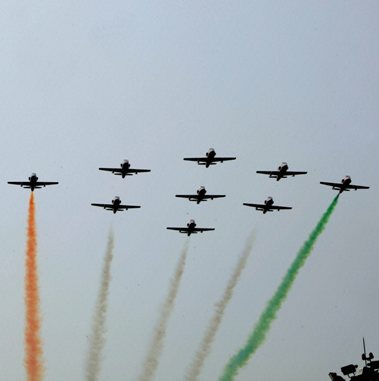 IAF's Surya Kiran Aerobatics Team makes a formation during the Air Force Day Parade 2010 at Hindon. 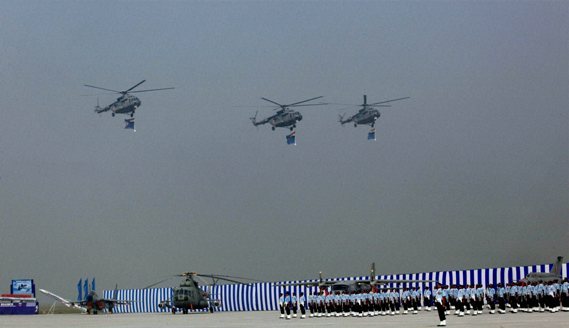 IAF's helicopters make a formation as the forces personnel march during the Air Force Day 2010. A PTI Photo. 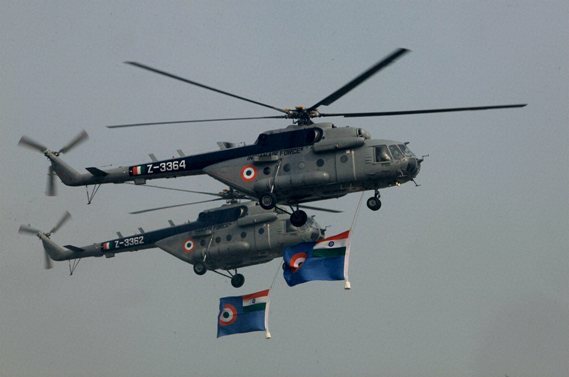 IAF helicopters display the forces flag whille flying past during the Air Force Day Parade 2010. A PTI Photo. 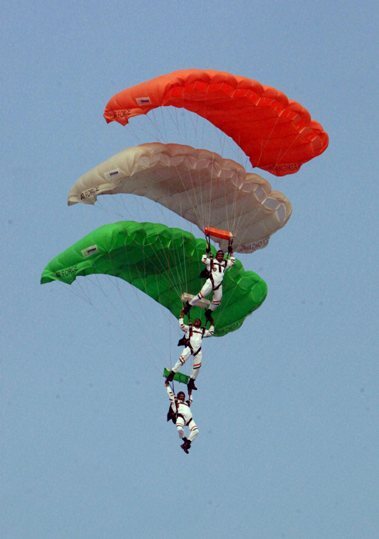 IAF personnel make a Tricolour formation as they descend with parachutes during the Air Force Day 2010 on the 78th anniversary of Indian Air Force (IAF) at Hindan on Friday. A PTI Photo.